I’ve had an active infestation of viburnum beetles the past two years and can’t get rid of them. I’ve been using soap which seems to kill them but they come back. Do you have a more permanent solution? Viburnum beetles target plants like the Snowball, Cuyuga and Burkwood viburnums. And they will remain active from spring to fall impacting the foliage of the species like the Arrowood and Alleghany viburnum. Viburnum beetles lay eggs on small sections of branches and are easy to spot when your plants are leafless. 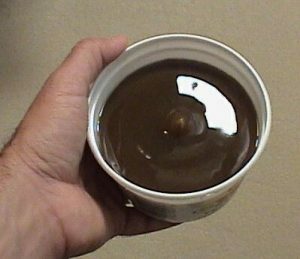 For this reason, treating in the winter with DORMANT OIL is a good way to kill off overwintering eggs. Dormant Oil will smother eggs and this can be effective in cold weather. Mix 3 oz per gallon of water and saturate all branches and the ground surrounding your viburnum. Treat once in the winter and then again in late spring, before summer. 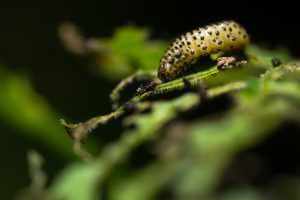 Eggs will hatch in the spring and feeding larvae will migrate down off the plant to the ground to pupate. For this reason, treating the trunk of your plant with TANGLEFOOT can intercept the migrating larvae preventing them from reaching the soil below. If you prefer to use this form of treatment, you’ll need to get product applied in early spring just ahead of the hatching eggs. The best treatment is using the systemic ADONIS. 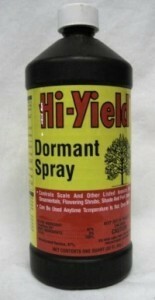 Applications done in the spring will last the whole year and will control all pests that might target your viburnum. 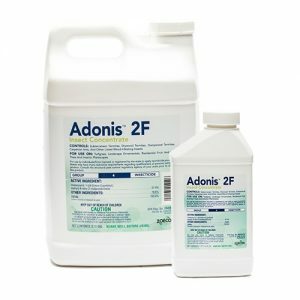 For the average sized plant, use .5 oz of Adonis in 3-4 gallons of water and apply the mixture to the ground around your plants. Make holes in the ground to “hold” the mixture when you pour it out. These holes should be made within 1 foot of the main trunk base inside the drip line. 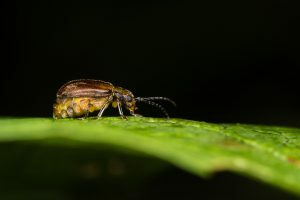 Adonis can also be sprayed on the viburnum to control active stages of this beetle (along with any other insect). Add .25 oz per gallon of water and plan on spraying the infected tree twice spaced 4 weeks apart. 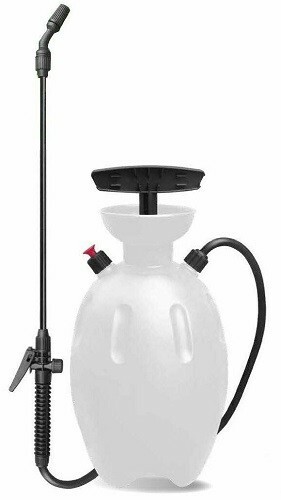 Use any standard PUMP SPRAYER to apply the Dormant Oil or Adonis.